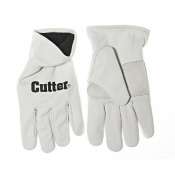 Working in cold weather can be tough on the hands, leading to stiff fingers and less productivity, so it's important to keep your hands warm and comfortable when outside. 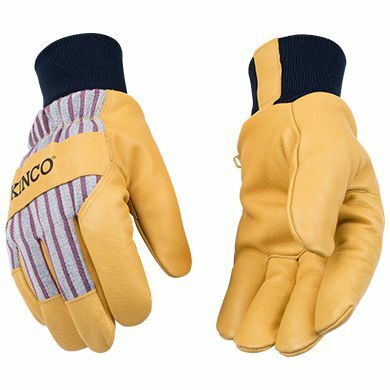 The Kinco Lined Grain Pigskin Gloves 1927KW are made with a tough, grain pigskin palm, patented HeatKeep lining and a snug knit wrist to keep your hands fully protected from the cold. 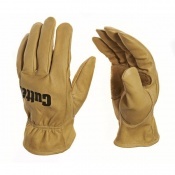 The pigskin leather dries soft without stiffening, keeping your gloves in top shape, wear after wear. Many leather work gloves are made with sub-par leather that can stiffen, crack and become useless after multiple wears. The grain pigskin used on the palms of these gloves will stand up to plenty of abuse, staying tough, pliable and soft to the touch for as long as you need it to. It will retain all its qualities after drying, and also features great abrasion resistant and durability. These gloves are serious about keeping your hands warm and comfortable, featuring patented HeatKeep lining to keep all your warmth inside. Made of finely spun polyester fibres, this lining creates thousands of air pockets that surround the hand, trapping all your natural body heat while repelling cold from the outside. Complete with layers of nylon batting and nonabsorbent polypropylene, this material wicks water away from the hands to keep you dry and outperform other leading insulators on the market. 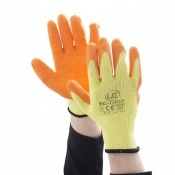 Warm work gloves are no good if they allow debris to enter your glove and wet your hands. That's why these gloves feature a snug knit wrist, staying close to your skin to prevent debris from entering while keeping all your heat inside. Extra Small 6 - 7"